Enjoying songs, activities, juice and biscuits and the story of Jesus walking on the water at the Holiday Bible Club, Saturday 18th July. 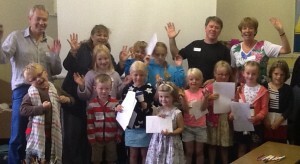 Thanks to Michael and Irene for organising Holiday Bible Club on 8th August. 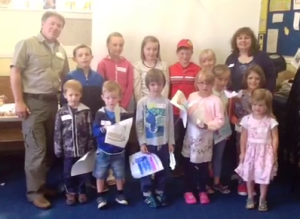 The children enjoyed the video story of Naaman and all the craft activities.